Kendriya Vidyalaya is a summation of 1093 central government schools affiliated to the Ministry of Human Resource Development (MHRD) of the Government of India. 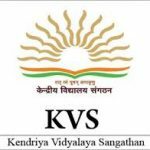 The Kendriya Vidyalaya Sangathan oversees the functioning of all KVS schools in India. The admission procedure for all schools is unified as per the KVS Admission guidelines that are published every year by the center. The admission process starts from 01 March 2019 and the notification for KV Admissions 2019 has released. Registration for Class 2nd (Except Class XI) will be started from 2nd April 2019. Class XI Admission will be started 10 days after board result. 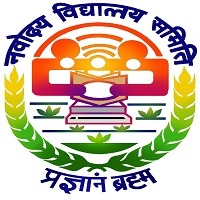 Click Here to Check official notice for Kendriya Vidyalaya Admission 2019. Check Here Kendriya Vidyalaya Admission Guidelines 2019-20. Registration for Class-II onwards (except Class XI) 02 April 2019 From 8:00 A.M.
For KV students: Registration for admission in class XI Within 10 days after the declaration of Board results. KV students: Display of admission list & admissions for Class-XI Within 20 days after the declaration of Board results. Ending of Registration for Class I 19 March 2019 Till 4.00 P.M. The registration for class 11 will begin within 10 days after the announcement of board results. The admission list for class XI will be issued in 20 days after the declaration of the CBSE class 10th board result. The registration for class 2 and above will be in offline mode. There will be no Admission test for admission to Class II to VIII. The application form can be collected from the concerned schools. For physically handicapped candidates, the age limit is relaxable by 02 years in the case. For Class IX candidates, there is no age restriction provided the candidate is seeking admission into class X in the same year. For Class XII candidates, there is no age limit provided there is no break in the continuous study. 3 percent for differently abled candidates. 25 percent for student belonging to Economically weaker sections of society (EWS). Registration forms are available at the start of the academic year with the respective principal of KVS schools. Registration forms should be submitted to the respective KVS schools before the last date for submission, complete in all respects. Certificate of proof of age in the form of a birth certificate issued by the authority competent to register births. The date of birth would be accepted which recorded in the transfer certificate issued by a school recognized by the State Education Department. The original DOB certificate should be returned to the parent after verification. Admissions up to Class VIII may be granted without any school transfer certificate provided the child is otherwise eligible and his birth certificate has been issued by a Govt. body or affidavit. A certificate of relationship must be produced for grandchildren of the Honorable Members of Parliament, PSU Employees, and KVS employees. SC/ST/EWS/OBC and BPL categories candidates are required to produce a certificate issued by a state or union government. Handicapped or physically disabled candidates are required to produce a certificate from a civil surgeon or rehabilitation center. A certificate of retirement for uniformed Defense personnel. Out of the available seats of fresh admission, 15 percent will be reserved for SC and 7.5 percent will be reserved for SC/ST candidates. There will be two phases for the admission to first class. The shortfall in the seats reserved for SC/ST, if any shall be made good by admitting SC/ST applicants. However, due to the non-submission of Proof of residence, the admission cannot be denied. For the purpose of monitoring a system of Draw of Lots to be held in Class I, every Kendriya Vidyalaya will constitute a committee. The same would be done in any other class wherever such a stage is reached when all candidates of a particular category or having the same number of transfers cannot be accommodated against the available number of seats. Admission test shall not be conducted for admission to Class II to VIII. The admission may be granted based on the Priority category system (1 to 5 or 6 as the case may be). The lottery system will be followed in each category including single girl child quota. (Class VI Onwards), if applications are more than the number of seats. Admission shall be granted in the sequence of priority categories, in the order of merit. For admission to Class IX, an admission test shall be conducted and a merit list prepared for each category of priority separately. Admission to Class XII in streams of Humanities, Commerce, and Science will be on the basis of merit list. The merit list will be prepared as the CGPA obtained by the student in Class X. Class strength is reserved at 40 per stream. For Admission to class 10 & 12 in Kendriya Vidyalaya other than KV students will be entertained subject to availability of vacancies. Only if the average strength in class 10 or 12 is below 40, the Deputy Commissioner of the Region concerned KVs will consider such admission to class 10 & 12. For class 10, the candidate must have obtained not less than 6.5 CGPA in class 9. For class 12, the candidate must have obtained not less than 55% marks in class 11 examination. The candidate has been in the same course of studies that is in a CBSE affiliated school. The combination of subjects opted by the candidates should be available in Kendriya Vidyalayas. Children of transferable and non-transferable central government employees. Children of foreign national officials, who come on deputation or transfer to India on invitation by Govt. of India. Children from any other category including the children of foreign nationals who are located in India due to their work or for any personal reasons. Only in case, there are no Indian Nationals’ waitlisted for admission, then the Children of Foreign Nationals would be considered. Registration forms shall be made available by the Principal FREE OF COST. Registration shall not be done if there is no vacancy in a particular class. Registration for class XI shall be taken up immediately after the declaration of results of class X. Registration form completed in all respects must be submitted/sent to the Vidyalaya concerned within the prescribed date. Attested copies of the prescribed documents would be required to be submitted along with the application form for registration. Kindly let us know the date of admissions to 1 std. kv is a good school and education are good to private school. I Want To Admit In IV th Class .Acadamic Year 2019-20 .Please Let Me Know the Procedure. Feb 2019 last week follow online only…. Admission date for class 1 in kerala cheennerkara kendhriya vidhalayam. 8th class k lie form iss yr kb milega? Madam /sir, I am join my child in II class, please tell me and register on online I don’t know, faith on me. Sir, admission required in 8 th class. I want admission my girl child in class VI Chandigarh & Mullanpur.Pl advice wt to do. please let me know once admissions will be open for class 1. For the session 2019-20, Admission process will be started from April 2019 tentatively. Even the application will be distributed in April 2019? I am a single parent of baby boy now looking for school admission. Is it mandatory to mention his father’s name in records or on papers at the time of admission. Please inform when the admission starts for class III for the year 2019 – 2020. Please inform when admission starts for class I for the Year 2019-20. Please inform about when the admission for class I starts and the procedure to do so? When will the admission form will be given out? Can the child of non govt employee apply for the admission for class 1. Please inform to new admission 2019 for class 1, when starting the admission process. PLEASE INFORM TO NEW ADMISSION 2019-2020 FOR CLASS 1 AND WHEN WILL STARTED ADMISSIONS. Need details for admission to 1st standard 2019-20 academic year at Hyderabad. Please Inform The Date Of New Admission 2019-2020 For Class-I. Pls inform Online Apply start date Class V, 2019 – 2020, & when will started admissions Date? Please inform Online Apply start date Class 1st 2019 – 2020 & when will started admissions Date. Please inform us about the admission procedure and timings. Sir /mam if student’s age below of criteria in 6 th class. 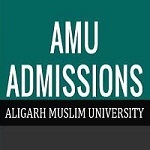 Is admission possible? 8years completed in Jan 2019. Please inform us about new admission for class 5th & 6th 2019-20 and what kind of documents required for online registration and also confirm date for on line registration. when i apply for 1st class in year of 2019-2020. Please inform us when the admission starts for cls 1 2019-20. And also I want to know about any reserved seats for only single girl child in a family. is there any quota system or anybody can apply for the session 2019-20.
i have two kids one is studying now 2nd standard and second is in u.k.g. and will apply for class 1st and class 3rd . I request you to kindly update online date of application for 1st std- 2019.
when the KVS admission starts for class I, That parent should not compulsory belongs to govt service .Is there is any requirement for non government service. let me know for new admission for class 2nd and 4th for session of 2019.
please let us know for new admission of Class 1 (2019-2020) when the application will be issued. please inform when the admission starts for 7th standard for the year 2019-20.
please inform when the admission starts for 4th standard for the year 2019-20. Please inform us when the admissions starts for class 6th for the year 2019-20. Please let me know the registration and admission date of class-I for the session of 2019-2020.
kindly let me know in which month online or offline admissions will start for 2019-2020. Please inform us about new admission for 1st Class for my Son and 5th Class for my Daughter… In 2019-2020 and what kind of documents is required for admission. kindly let us know the application details. Is online application form is available for next academic year( 2019 – 2020). My husband is Ex – Serviceman. I want to join my two children( Grade 5 & Grade 2) in KV School for the next academic year( 2019-2020). I dont know how to apply in your esteemed institution. Please kindly help me.My contact number: 8826756610,9500271934. Please give alert admission in Class 01 for session 2019-20. Please give alert admission in Class 02 for session 2019-20. Please I want admission for my daughter. Last year I tried for 1st but I dint got. So I am waiting for class 2nd. I am kv student like that I want my daughter also want to study in that school. Pls give me a alert once the admission is open. Thank u. Please inform to new admission 2019 for class 5, when starting the admission process. Me and my husband live in indore (mp)and my father in law live in other city of mp and doing job there he is central government employees .so it can be possible my son get admission in Indore kV school 1 St class . session 2019-2020.plz tell me. please inform, when admission form date release for 1st STD. Let me known about the admission for 1 std for 2019-2020 batch. my son date of birth is 29.04.2014. Around 1 month is less in 5 years. Is it possible to get admission in first class. As per NCT of Delhi (Directorate of education, Delhi) guideline, one month relaxation is allowed to admit in class -I.
Kindly share the applying date for admission of 1st std. please let us know the new admission dates registration for 2019-20. Please alert me for 2019-2020 Admission for Class I.
Pls Confirm 1st Class Admission Opening Apply and Registration date year -2019-2020. Let me know the admission date for class VIII single girl child quota for the year 2019 – 2020. Admission in class one for academic year 2019-2020. Pl. Notify me. ADDMISSION SESSION 2019-20 FOR CLASS 9TH. PLEASE LET ME KNOW ABOUT THE DATE OF ADMISSION FORMS FOR THE SAME. When will be the admission open for 1 class .Please drop the mail note. Let me know the admission date for class IV for the year 2019 – 2020. Pls let me know the admission date for class 5.
when will the admission for class 3rd start,my father passed away this year ,we don’t have any fixed source of income so can we apply in EWS category? we want , join my child in class 1 your school 2019-2020. please send information for admission details. I am working in TNEB (Tamilnadu Electricity Board) I want to admit my child in 1st class. (D.O.B : 30.08.2014) May i know the procedure how to get an admission in this academic year. Could please forward the details to my mail id:rmani83@yahoo.co.in, maniage27@gmail.com, My Contact No:9789989596. Please let me know the admission date or timing for class VI in boys quota for the year 2019-2020. Please inform me when admission will be start for class – 2. Please let us know about the admision date and time for class 1st for the year 2019 – 2020.
i want to admission my child in class 1 kindly inform me this year 2019-2020.also i am a central govt.employee. I HAVE ONLY ONE DOUGHTER AND HER DATE OF BIRTH IS 17-06-2015 SO PLZ INFORM ME WHEN I CAN APPLY FOR HER ADMISON. Please forward reply to admission in the class of Vth and IX to following mail. I have only one son. I need an admission for my son for 1st std. Kindly let me know the date of application and the process. when will started admissions Date? My fater-in-law is a central governament employee (Military Engineering service, Vishakapatnam) and my fater is Ex-Employee of Vishakapatnam Steel Plant( RINL). Can I get admission for my kid in 1st standard in Kendriya Vidhayala, Bangalore. Please inform when the admission starts for class IXth for the year 2019 – 2020. DOB : 24/06/2014. 1st standerd 1919-20. Eligible or not ? Admission 1919-20 1st standerd. dob:24/06/2014. Eligible or not? Please inform me the admission date for class 2 and class 5 (2019). Please tell me the admission for class III for year 2019. Sir, please inform when the admission starts for 1st class for the year 2019-2020. Please inform us about new admission for class 1st 2019-2020 and what kind of document is required for admission. kindly let us know the online date of application for class 1 std .(2019-20). Kindly mail formats of documents required for admission. Sir/mam please mail at the ragistration time for class VI and class class XI. Admission alert for class 1for 2019_2020. May i know the procedure of admission ,i want to admit my kids for 2&4 th standards. we want to admit my child in class 1 kv school 2019-2020.. I want my daughter to get admission in class 1st. She is the single girl child in the family. Pls let me know the criteria for admission in the session of 2019-20. Would she be eligible for admission?? Pls suggest..
ple. infrom me when class 1 addmision will be start.2019-20.We are waiting for this. Admission alert for class 1st for 2019_2020. I am interested in this matter. So that please help me. Please inform me when class 1 admission will be start.2019-20.We are waiting for this. I want to admit my daughter in 2nd class. Plz let me know all the admission procedure. I have to admission my son. Is there any seat left for class 6 and 11 ? Please inform me about new admission for class 1st 2019-2020 and we are belongs to OBC – NC and EWS. what kind of document is required for admission. Kindly mail formats of documents required for admission. My son is till studying in international school at kaniyakumari district 3rd standard, i need 4th standard admission at kv ppease inform me the admission time, am working in railway as a clerk. i want my children admission in class 11th & class 5th . kindly tell all the right process. how much reservation is there for OBC students. Plz let me know. I want to admit my daughter in class-5. kindly tell me the procedure and even she is single baby girl with single parent and her grand mother is a Govt employee(B.W.S.S.B). I want my children admission in class 4 th & class 7 th . kindly tell all the right process. This is Veerendra. I would like to admit my son in to Class 1 in KV school. Pls inform the process. I want my son admit in class 4th in kvs in Delhi how I can apply pls revert properly.thanks&regards. I WANT TO MY CHILD ADMISSION IN 2019-20 FOR CLASS 2 & 5 IN KV NEAR BY MOHANBARI DIBRUGARH ASSAM, ..MY CHILDREN STUDY IN PRIVATE SCHOOL..PLEASE INFORM ADMISSION PROCESS IN KENDRIYA VIDYALAYA.. Regarding 3rd and 4th class admission in kv school in Shimoga. I am a private employee working in Shimoga. We are under BC community. For apply 3rd and 4th class admission what are all the documents need . Please send me the admission process for 3rd and 4th class. I want admission for my daughter for 3rd standard. For applying the link is not getting. Please help me to apply for the admission. As advertised that 2nd class admission are available with offline mode. so, may i know the prospective form is available on KVS website. If it so please reply and also way to get it. my son name is Takshil Adiwal who is in waiting list of SC Cat. in KV No.1 Jalandhar at first no. for Class 2nd .kindly reply if there is possibility for selection till 30th april.